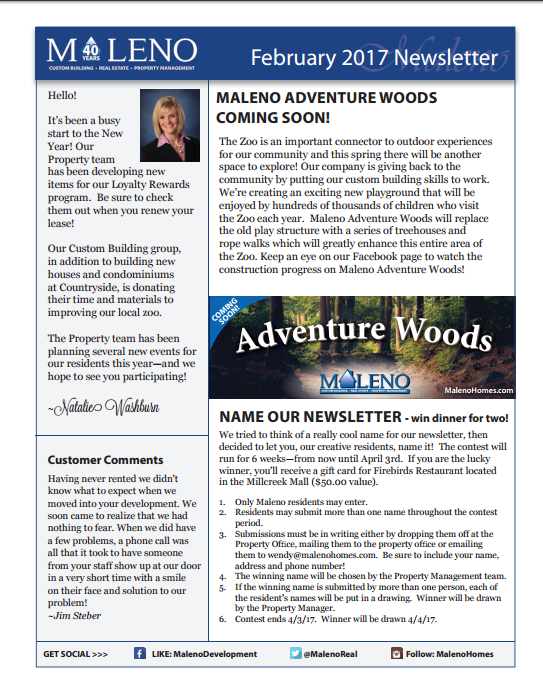 Maleno residents' quarterly newsletter for our Erie, Pennsylvania apartment communities. 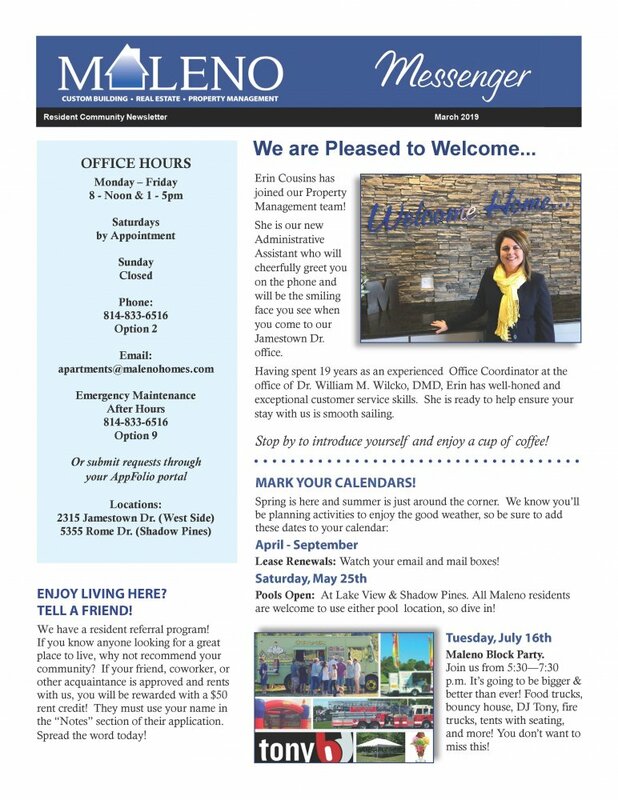 Maleno apartment community resident newsletter for fall 2018. 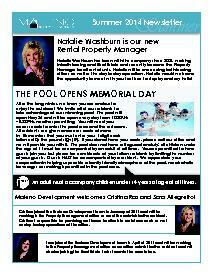 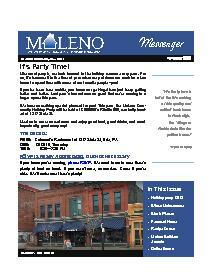 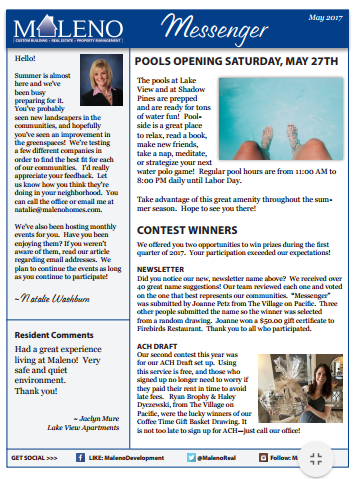 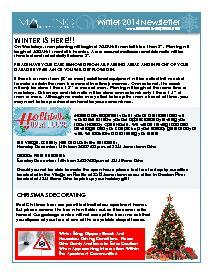 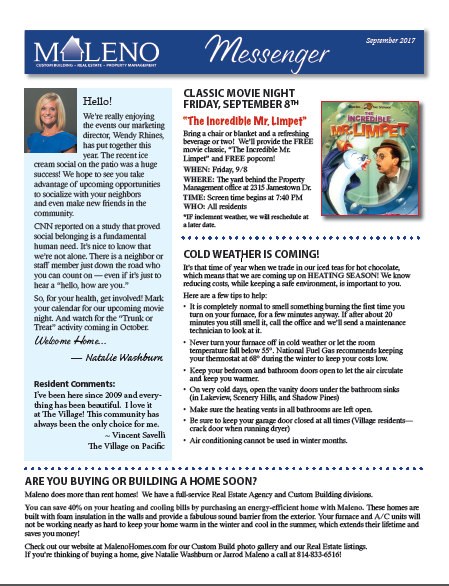 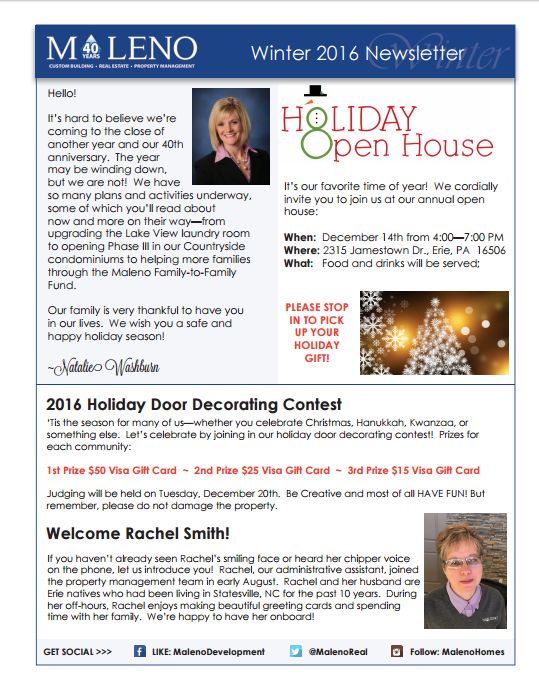 Quarterly newsletter for Maleno's Erie apartment communities. 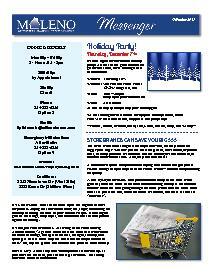 List of items that are needed by the Veterans Miracle Center of Erie (VMCE). 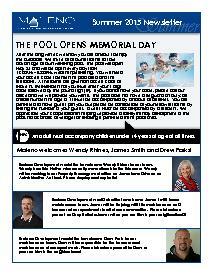 Donate by dropping off at Maleno's Property Office. 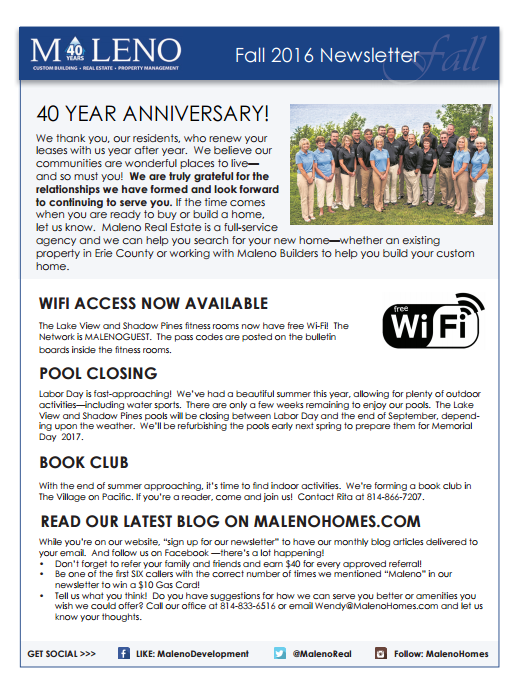 Maleno apartment communities resident newsletter.